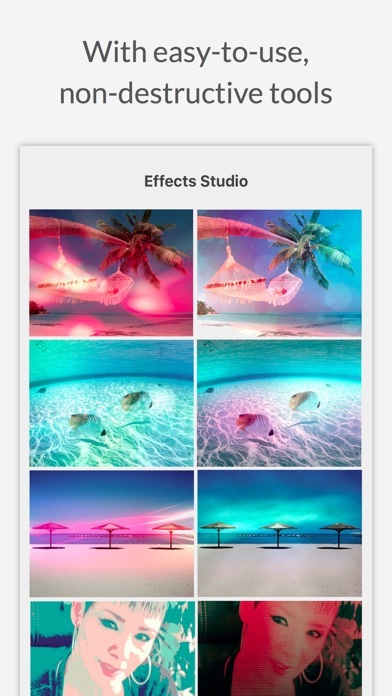 ◉ Effects Studio is a great photo editor, give your pictures the perfect look with easy-to-use, non-destructive tools, and stunning, powerful effects. ◉ No In-App purchase or advertising! All current and future content available after a one time purchase! ◉ For the best user experience you need at least an iPhone 5 or higher, iPad 4 or higher. 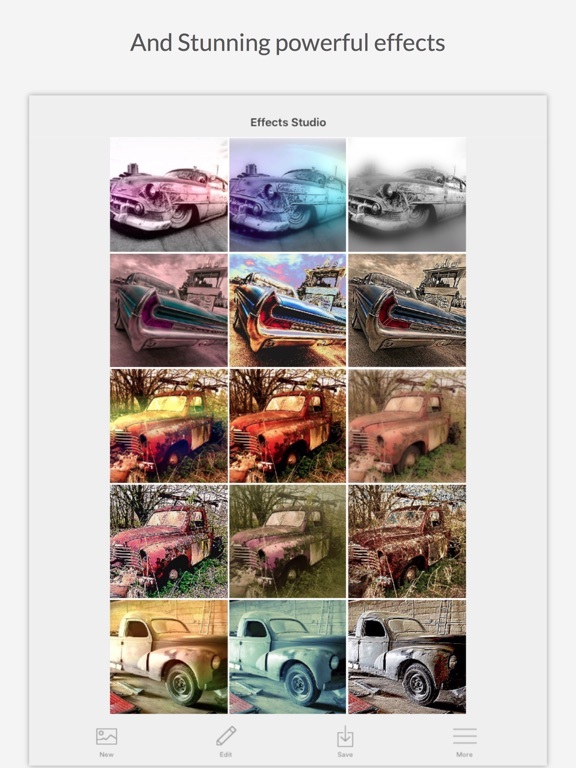 • "If you fancy image overlays and want a better filter selection via photo extensions, check out Effects Studio." 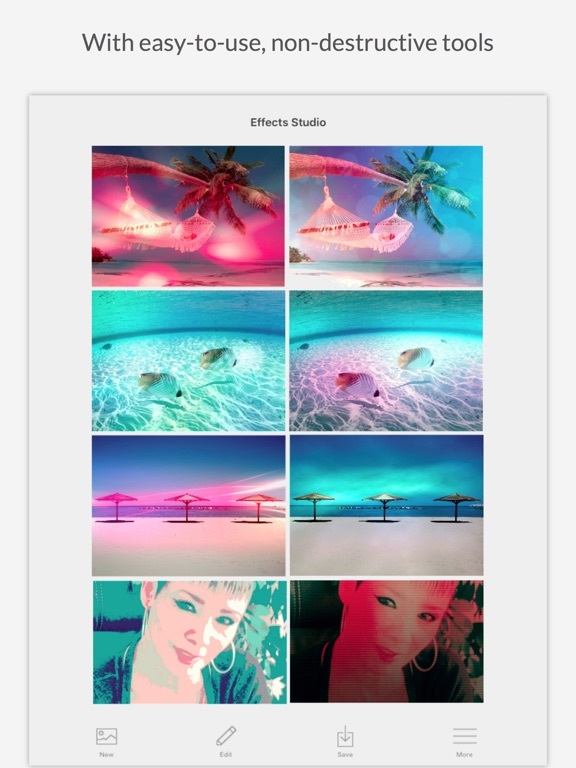 Allyson Kazmucha - iMore - Best photo extension apps for iPhone. 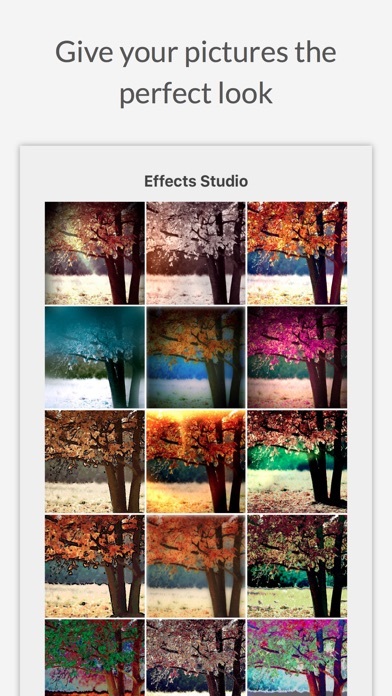 • "Useful Photo Filter and Editing App for iOS with some Extra Features: Effects Studio" - Graham K. Rogers, Mahidol University in Thailand. 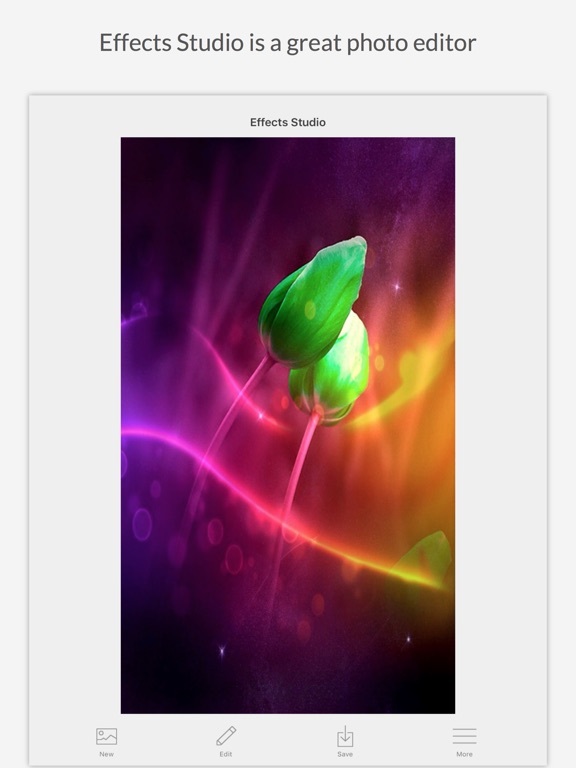 ◉ Effects Studio is now ready for iPhone 6/6 Plus and iOS 8. 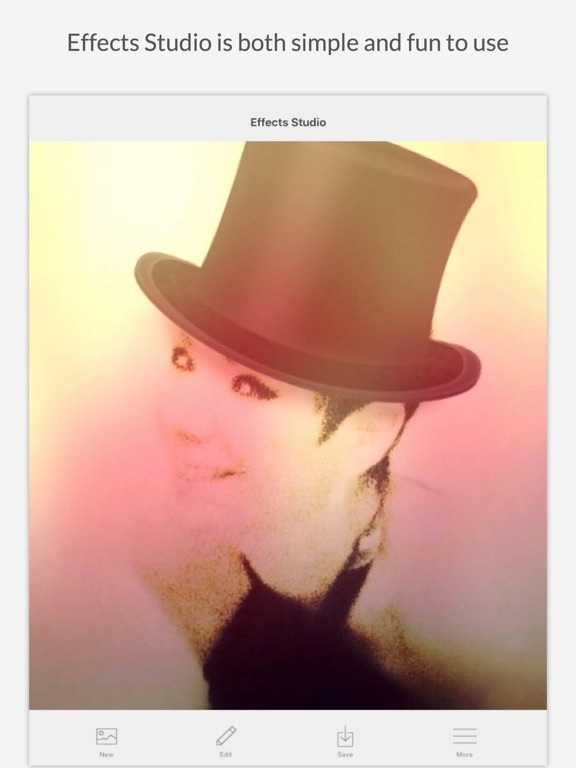 There's plenty of fun to be had and produce stunning effects, too. ◉ Manipulate and share pictures of your friends in weird and wonderful ways, and some that distort pictures so heavily that, frankly, they should never see the light of day. • Adjustments - Luminosity, contrast, color. 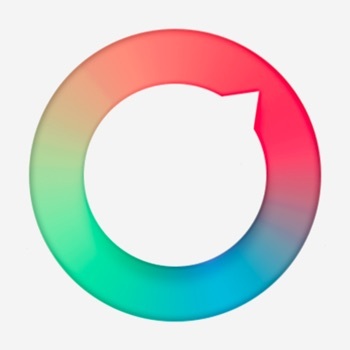 • Blur and Focus - Normal, circle, band. 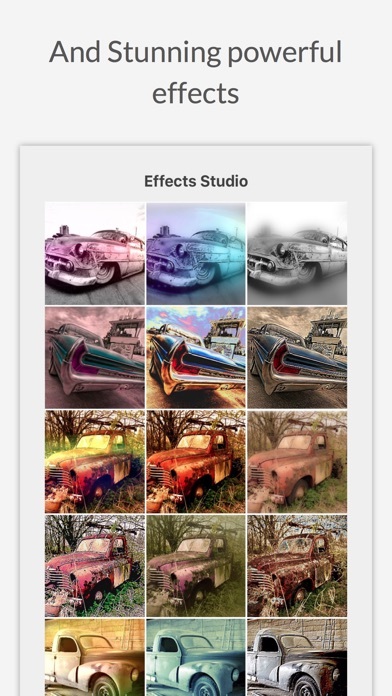 • Crop - Portrait, landscape, five predefined sizes, custom. 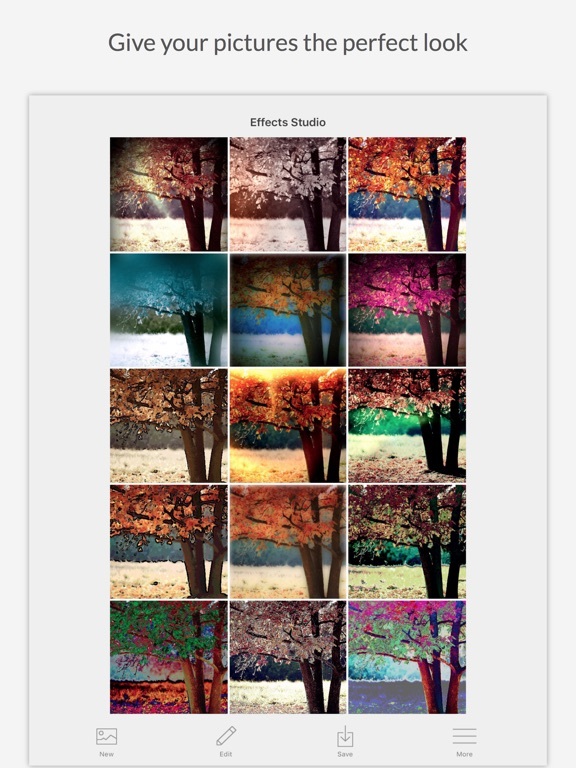 • Resize - 8 predefined sizes: 240, 320, 480, 640, 800, 960, 1024, 2048 + custom size! • Ton of stickers, emoticons, horror masks, frames and hairpieces to enhance your photos and express your mood and creativity. 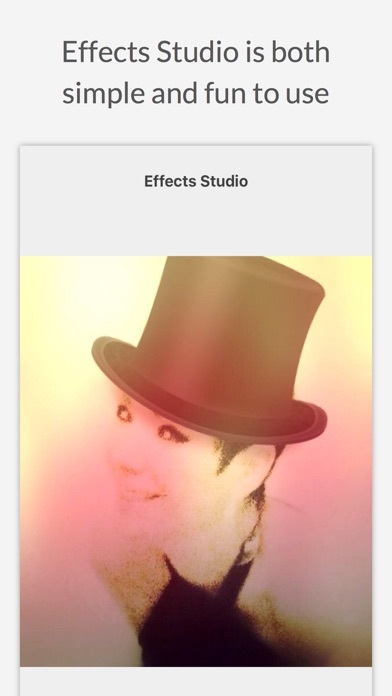 ◉ Effects Studio is tested and work fine from an iPhone 4s, but for the best user experience you need at least an iPhone 5 or higher. 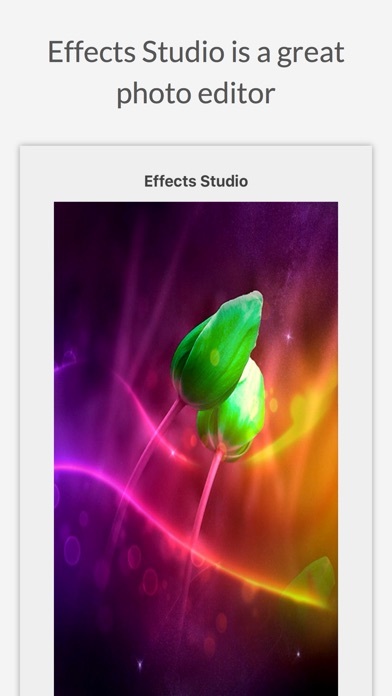 ◉ iOS 10 minimum is now required to run Effects Studio. ◉ Better resolution for Stickers, Wigs, Masks and Frames. ◉ Textures, Stickers, Frames, Emoticons, Masks, Wigs now sort correctly. ◉ Upgrades, under the hood, for better performance and bug fixes.